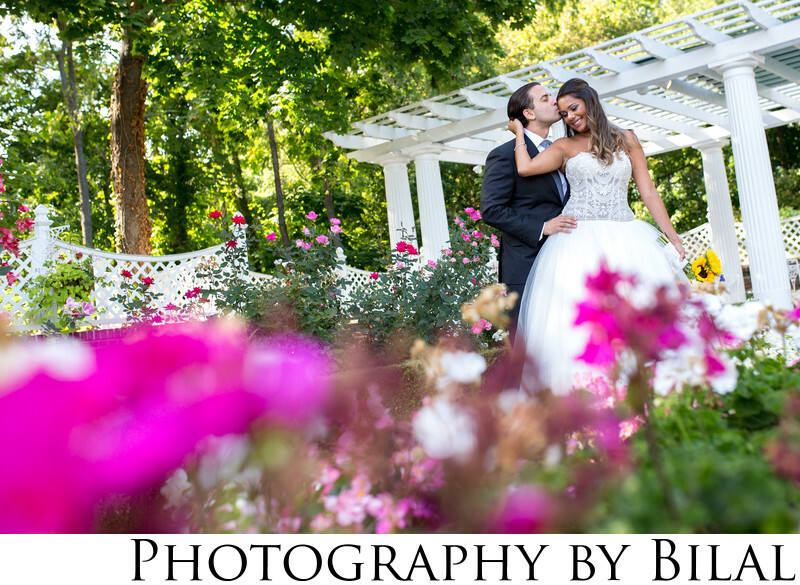 Shadowbrook is one of the top wedding venues in NJ. If you're looking for a great venue Shadowbrook will be an excellent choice. The foliage in the outdoor area is great for bride and groom photos. I love this image because of the foliage in the foreground and how happy the bride looks. Location: 1 Obre Pl, Shrewsbury, NJ 07702.